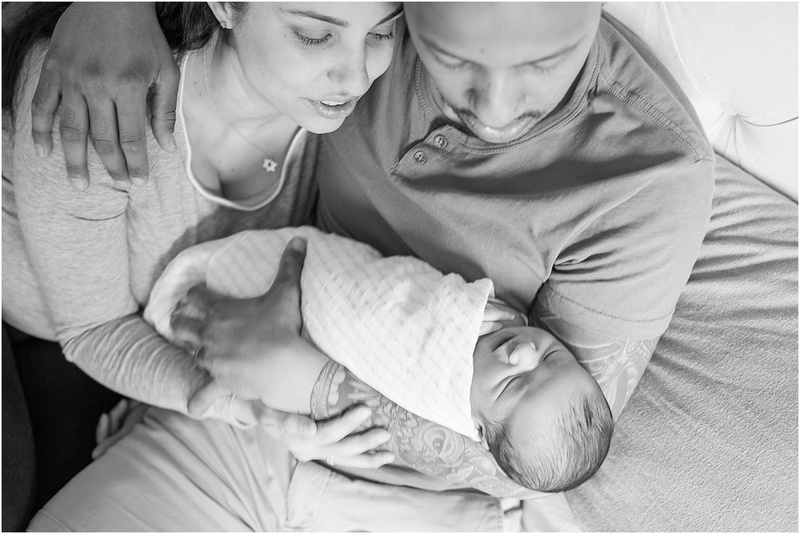 There are only a few things I love more than getting to capture a birth or newborn session for one of my families, and one of them is when I get to capture both their birth story and their newborn session. Seeing little ones take their first breath and then getting to visit them in either the days or weeks following allows me to see just how much they've grown in a short amount of time, and really reminds me how important it is to capture those fleeting moments. Just five days after capturing Lincoln's birth story, I got to go back to his home in Alexandria where he entered the world and shoot a lifestyle newborn session for him and his parents. 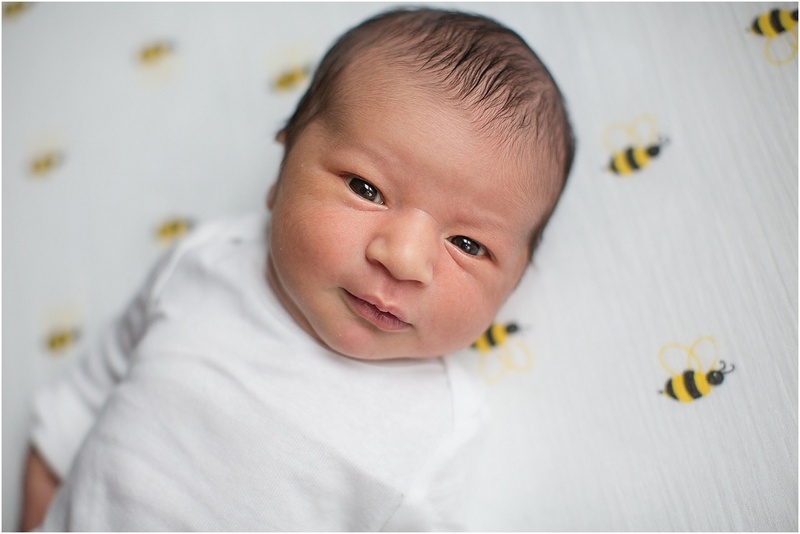 He was already looking so grown up and so handsome, and even gave me (when I say me, I really mean his mama) a few glorious newborn smiles! Here are just a few favorites of mine.